HP's court battle with Autonomy co-founder Mike Lynch and its former CFO Sushovan Hussain has kicked up a notch after it filed a claim form with a UK court to recover $5.1 billion (around £3.4 billion, or AU$6.6 billion) in damages. The claim form, which was filed yesterday at London's Chancery Division High Court, seeks to recover the sum in relation to accusations of dubious accounting practices at the company HP acquired for $11.7 billion (around £7.1 billion, or AU$15.35 billion) back in 2011. 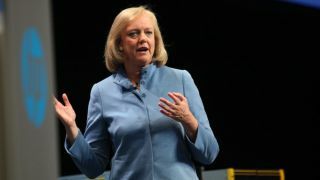 "HP can confirm that, on March 30, a Claim Form was filed against Michael Lynch and Sushovan Hussain alleging they engaged in fraudulent activities while executives at Autonomy. The lawsuit seeks damages from them of approximately $5.1 billion. HP will not comment further until the proceedings have been served on the defendants," according to a statement provided by HP. Lynch and Hussain already cleared their names once this year when the Serious Fraud Office (SFO) brought no charges against them in January and subsequently closed its probe into the firm. Bloomberg also reported today that Lynch and the former management team of Autonomy will counter-sue HP for over £100 million (around $148 million, or AU$194 million). "The former management of Autonomy announces today they will file claims against HP for loss and damage caused by false and negligent statements made against them by HP on 20 November 2012 and in HP's subsequent smear campaign," the ex-management team, including Lynch, said in a statement. It's just the latest escalation in an increasingly bitter war of words between the two sides since the Autonomy acquisition went sour when HP wrote down an $8.8 billion (around £5.9 billion, or AU$11.5 billion) charge just a year after the deal went through, claiming that Autonomy had overstated profits of one of its British units by 81%. Lynch has always argued that the accounting practices under question were legal under UK law, yet the FBI and Securities and Exchange Commission continue to look into those same accounting practices.